Picked this up a while back. Very early DWA. 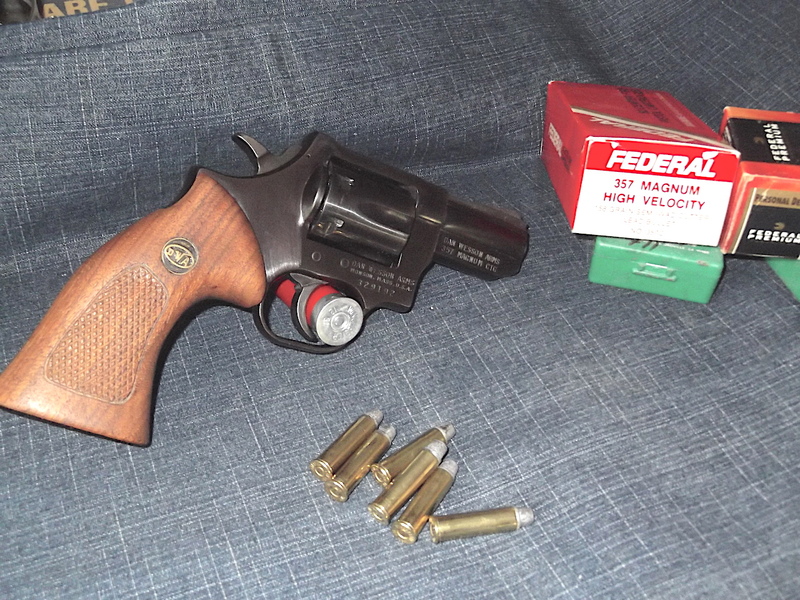 Not marked with a model # but doing a little search and education, it is a Pre Model 14. 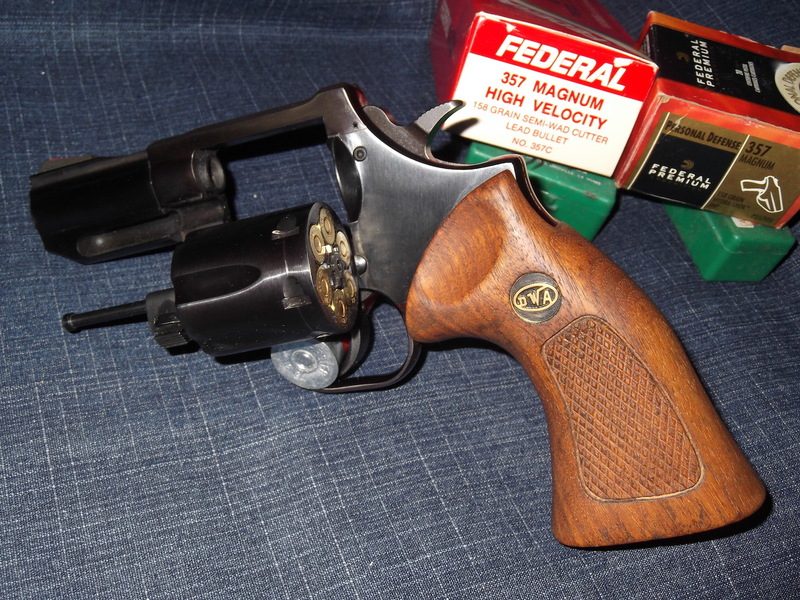 357 Magnum, 2 1/2" barrel. 2 sets of grips, the large target style it wears here and a smaller service style that would be very good for CC. It can be rebarreled and comes with the barrel nut key but no extra barrels, it is heavy enough to tame even the wildest hand loaded Magnums. And....she's pretty good looking too. silverstring, DeltaBravoKS, Desperado and 5 others like this. That beauty looks to be in great shape. The pix are terrific and well thought out showing the different views. Thanks. The grips look like mine, but mine's SN is 100000 less. It would be nice to get a rundown of the revolver based on the serial number. It is a true joy to shoot! You are one lucky guy. 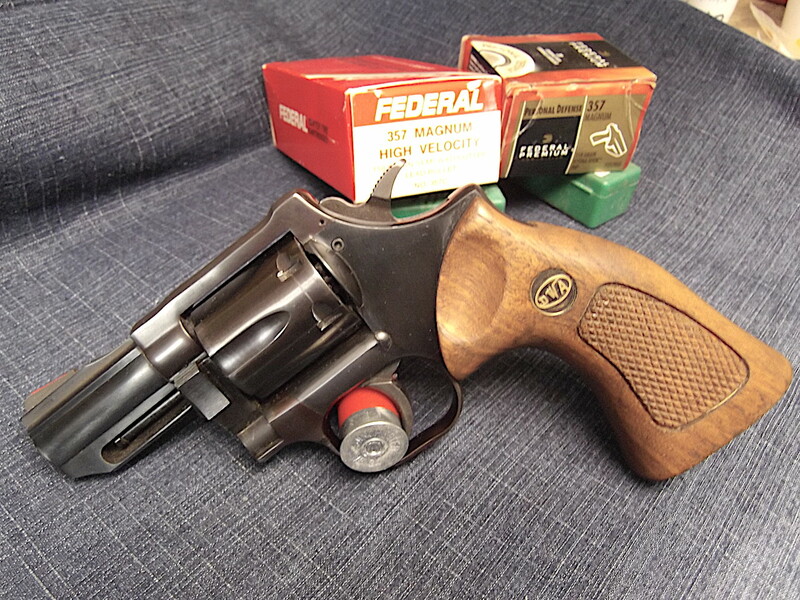 Those guns are some of the best .357 magnums ever made. very nice revolver you have there. Some of the older ones are the best. Wasn't the pre model 14 & 15 the modle 8 & 9? I think they were but its been a long, long time. 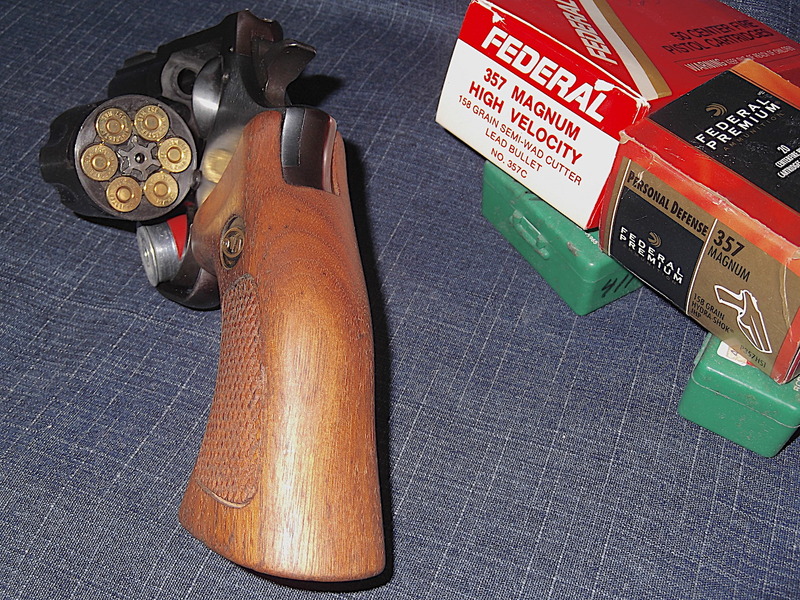 I had a model 14 with the undercover grips (looked like a broom handle) and that thing was NOT a joy to fire, Packs made it much better. Congrats on your new to you wheel gun. Did I say Dan Wesson? I meant Dan COONAN!